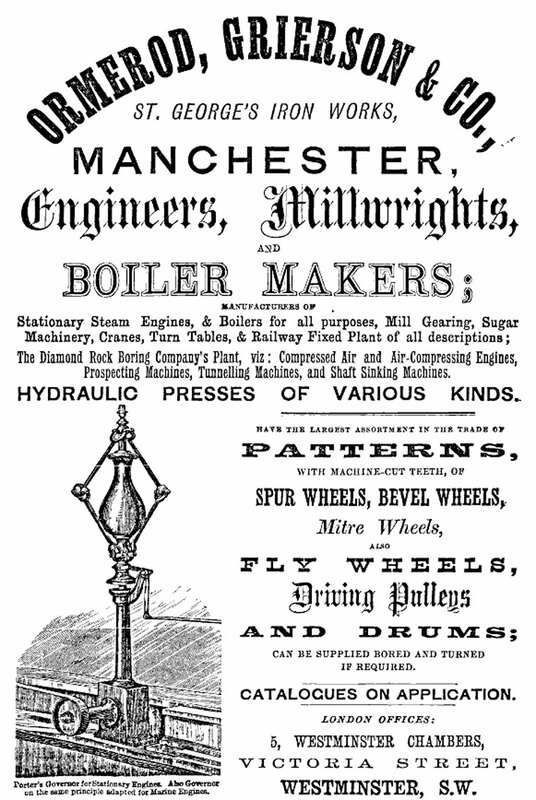 Ormerod Grierson & Co of Manchester were engineers and iron and brass founders. 1811 Established in Minshull Street. 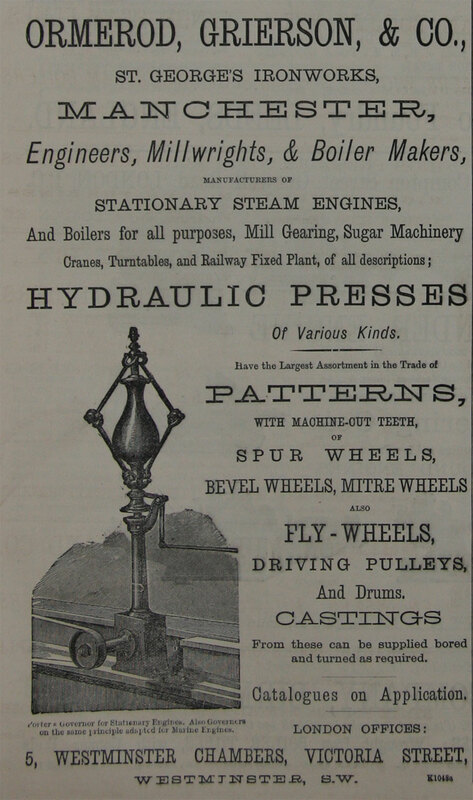 1861 Known as Richard Ormerod and Son. 1862 'Large Iron Bridge for India. —There is in course of construction in Manchester a very large iron railway and carriage way bridge combined, intended to span the Jumna, near Delhi. It is to consist of 12 spans, each girder being 216 ft. long, which, with the thickness of the eleven piers upon which it is to rest, to give a total length of over half a mile. The first span of this malleable iron lattice bridge it now completed. The metals for the East India Railway Company are laid along the top, and the roadway along the bottom, the latter having a clear height of 16 ft. 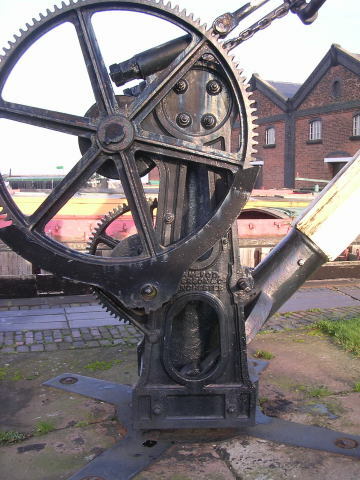 The bridge is from designs of A. Rendel, Esq., C.E., London, and is being constructed by Messrs. Ormerod, Grierson, and Co., of the St. George’s Ironworks, Hulme, Manchester. One unusual feature of the structure is that all the rivet holes are drilled instead of being punched. The bridge, notwithstanding its great strength, has a light and airy appearance. The open lattice-work has the effect of relieving it from the dull and heavy aspect inseparable from tubular structures.'. The Jumna (now Yumana) bridge was mentioned in Charles T. Porter's memoirs. Porter, an eminent American engineer, worked with Ormerod, Grierson as a consultant. See also below. 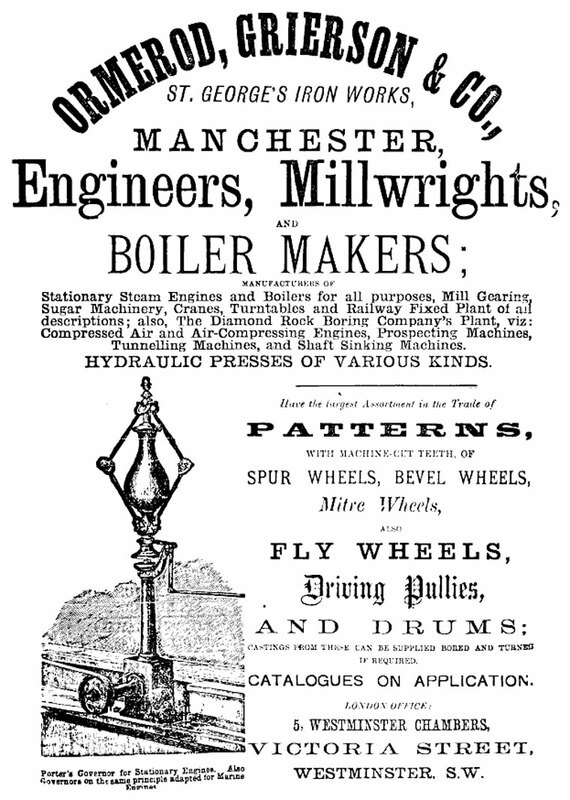 1863 they became Ormerod, Grierson and Company of Hulme Hall Road and Chester Road, Hulme. The factory was located on Hulme Hall Road, occupying land between the Bridgewater Canal and the adjacent railway viaduct. Apartment blocks have recently been built on the site. 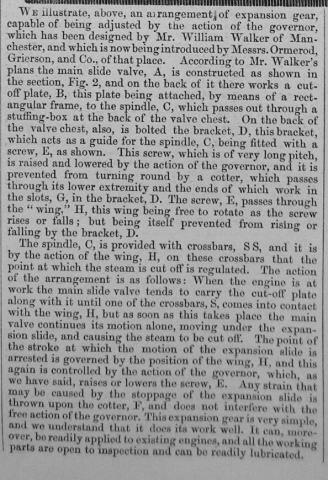 1881 May have made a steam locomotive. 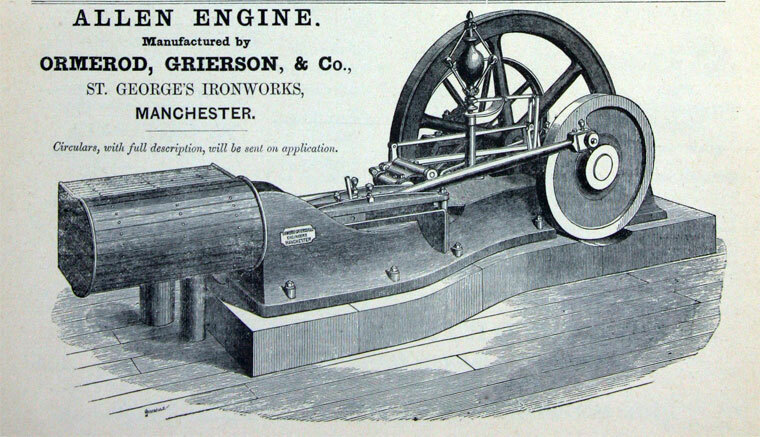 1892 They were known as St George's Ironworks. ‘Engineering Reminiscences’ by Charles T Porter, 1908, contains many references to Ormerod, Grierson. 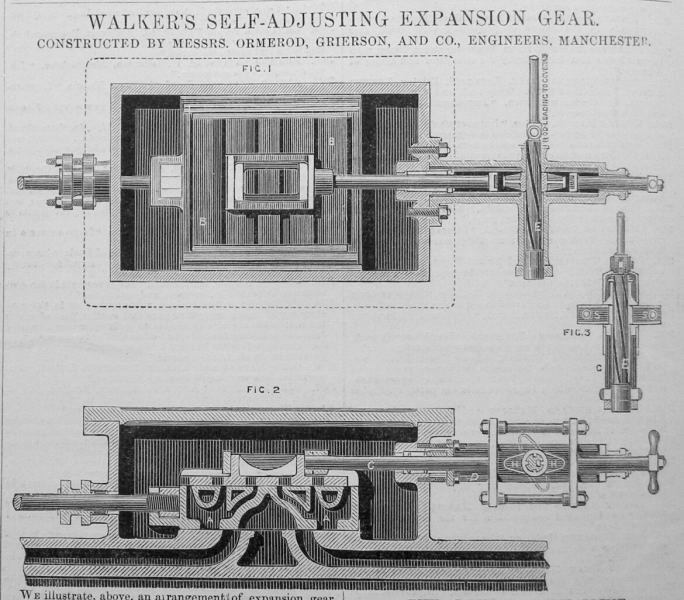 The American engineer worked closely with them on the design of high speed horizontal steam engines.